Highest Certified by CGC! Double-cover copies are always something special, and this one's unusual in that the outer cover is graded just as high as the interior one! Superboy stars in the issue; backup features include Green Arrow, Aquaman, Johnny Quick, and the Shining Knight. 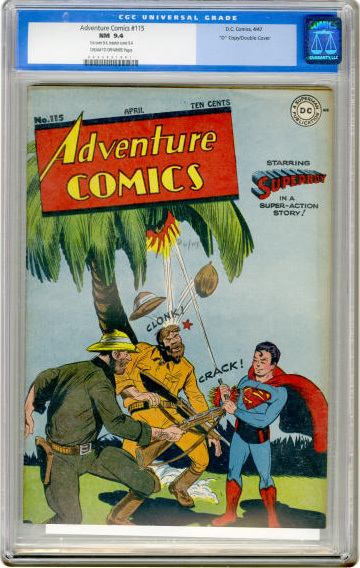 CGC notes, "1st cover 9.4, interior cover 9.4."